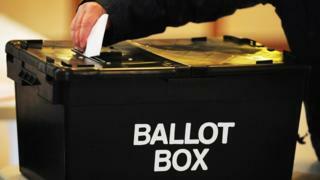 Image caption Could small parties have a big say in Greater Manchester's politics? Stockport is also run by a Labour group without a majority and this lack of control was brutally clear in March when the council's budget was voted down by opposition councillors for the first time since the 1980s. It was passed at the second time of asking, but only after some concessions were made to the Liberal Democrats. If there is to be any signs of life from the Lib Dems nationally, it is likely to show in places like Stockport. The Lib Dems will also be hoping to make further gains in Manchester, where Labour enjoys an enormous majority. In 2015, all 96 councillors were Labour, but the Lib Dems have won two seats over the last couple of years and narrowly missed out on a third at the last election. But while further gains are possible, even the most optimistic of Lib Dem campaigners will be expecting nothing less than another massive Labour majority in the city this May. One of the biggest issues across the region is the Greater Manchester Spatial Framework, a plan for the building of tens of thousands of new homes over the next couple of decades. Conservative support for a controversial housing development in Flixton was partly responsible for the party losing control of Trafford council last year and this time around, there is strong resistance to parts of the plan in Stockport. Image caption Could Bury's Jewish population change the political landscape in the town? Much of the fiercest opposition though is in the north of the region, with thousands of protestors meeting across Rochdale, Oldham and Bury. Labour hold massive majorities in Rochdale and Oldham but their hold on power is weaker in Bury. The town also includes Greater Manchester's largest Jewish population and a combination of housing protests and anti-Semitism concerns could create a dangerous cocktail for the party in the town. Wigan is another council with a large Labour majority, but there are also three independent parties looking to make further gains there, and Salford and Tameside are safely Labour too. Opposition parties can only hope to chip away at, rather than overturn red majorities there.